A fundamental goal of developmental and stem cell biology is to understand how dividing stem and progenitor cells properly integrate the extracellular signals that direct diverse processes such as progenitor maintenance, differentiation, and assignment of specific cell fates. Significant progress towards this goal has been made in both identifying the core signaling pathways and understanding how they individually control these processes. However, it remains largely unresolved how the activity of different signaling pathways mechanistically intersect, permitting the activation of one signaling pathway to influence the responses to other signals. 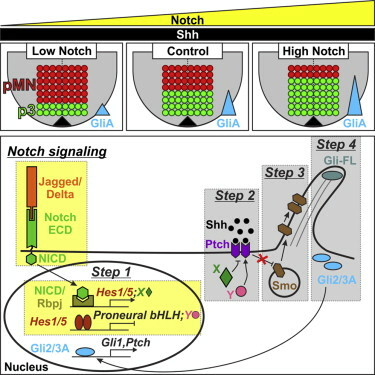 In our study published today in Developmental Cell, we demonstrate that Notch signaling, one of the most important pathways in controlling neural stem cell maintenance, alters the response of neural progenitors to the morphogen Sonic hedgehog, and thereby the assignment of neuronal and glial cell fates. Click [here] to read the published article. 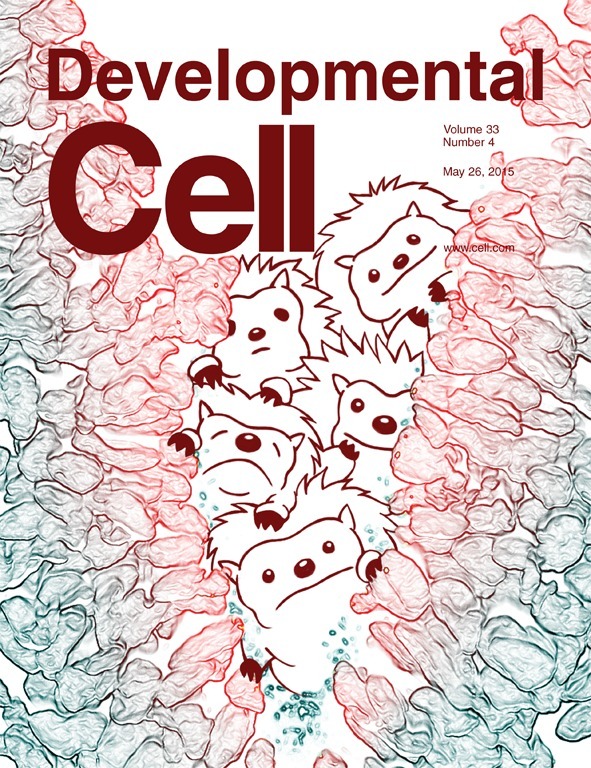 A press release featuring our recent paper can be found [here], along with mini-reviews in Developmental Cell [here], and Science Signaling [here].